Individuals can teach ESL in Italy through private language schools, universities and colleges, businesses, and freelance tutoring. 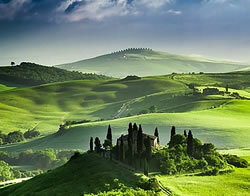 Italian schools have two semesters; the first semester starts in September and the second in January. As in the United States, higher qualifications are needed for teachers seeking positions in universities or colleges. Italian universities and colleges operate on the same timetable as public schools, hiring a few months before each semester begins. ESL instructors interested in teaching in a university or college should have a minimum of a Master's Degree and preferably some college teaching experience. Some universities and colleges also require ESL teachers to have basic fluency in Italian. 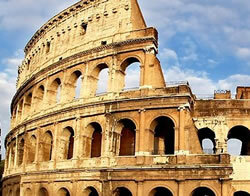 Italy's school year is split into two semesters, making English summer camps very popular. Summer camps usually run from June until September, though duration and location can vary. Some employers will provide transportation, accommodation and meals; however, ESL teachers should not expect to have these benefits included. Again, many camps will only be able to hire English speaking EU nationals. The majority of the newspapers in Italy contain job advertisements which can be accessed either in print form or online. The most widely circulated newspaper in Italy, Corriere della Serra, publishes a job insert on Fridays which claims to contain a diverse range of over 1,500 job postings. There are also specific newspapers containing information for job seekers such as Il Posto. The national newspaper, Il Sole 24 Ore, also publishes a weekly job supplement in their Monday newspaper for college graduates looking for their first job. The Internet is another large resource for job seekers. Keep in mind that Italian websites can be translated with tools such as Google Translate. Graduates of Oxford Seminars can access our Job Placement Service at any time to assist them in their ESL job search. Job Placement Advisors can provide valuable advice and resources to help prospective teachers make their search a successful one. With over 128 years of experience and 550 chain schools throughout 60 countries, Berlitz is well-established among English language centers. 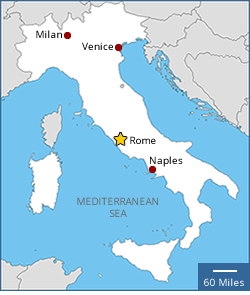 There are currently multiple schools throughout Rome and Milan which provide favorable working conditions for ESL teachers. Preference for positions is often given to EU nationals. - In case of an emergency, dial 113 for police, 115 for the fire department, and 118 for medical rescue. - Electrical outlets in Italy have a voltage of 230v which is higher than in North America (usually 120v). Electronics in Italy have plugs which feature two round pins. If a North American appliance can operate at dual voltages, then you will need to purchase a plug adapter (usually about 0.80 EUR at a local grocery store) to fit the electrical wall outlet. Appliances that do not have the option of switching between voltages will require a voltage converter. However, be warned that such converters may still cause overheating. - Foreigners should always ask for a price before making any purchases from vendors to avoid being overcharged. - Prices in restaurants double and sometimes triple when sitting down to eat as compared to taking an item to go. This is to cover the cost of service, dishes, utensils, etc. - Bread is rarely served before a meal, as the main dishes take priority over filling up on bread alone. If bread is available, it is not free and is mainly accompanied by oil, not butter. Americans wanting to teach English in Italy may qualify for a work permit under two sub-categories: self-employment (lavoro autonomo) or employment by another company (lavoro subordinato). Teachers should note that there is a yearly quota on the number of self-employment permits granted and specific application periods that must be followed. It is very difficult for a non-EU citizen to secure a position through an Italian employer as the employer must prove that the employee is an expert in their field and that they are not taking the position away from a qualified EU citizen. Most employers are not willing to go through the extensive paperwork in order to submit a work permit (permesso di lavoro) application. The process is also very lengthy as it takes time to send the application forms to the necessary bureaus in Italy and then back to the Italian consulate in the teacher's home jurisdiction. 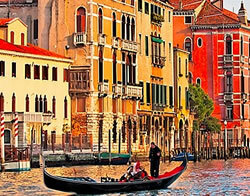 To learn more about the visa/permit requirements for Italy, visit the Ministry of Foreign Affairs visa page at http://www.esteri.it/mae/en/.